From here designed by Vicky Crease. 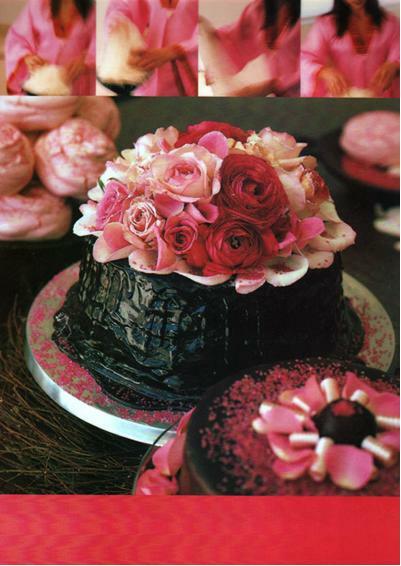 What better thing to combine than flowers and chocolate? ...Let them eat cake!